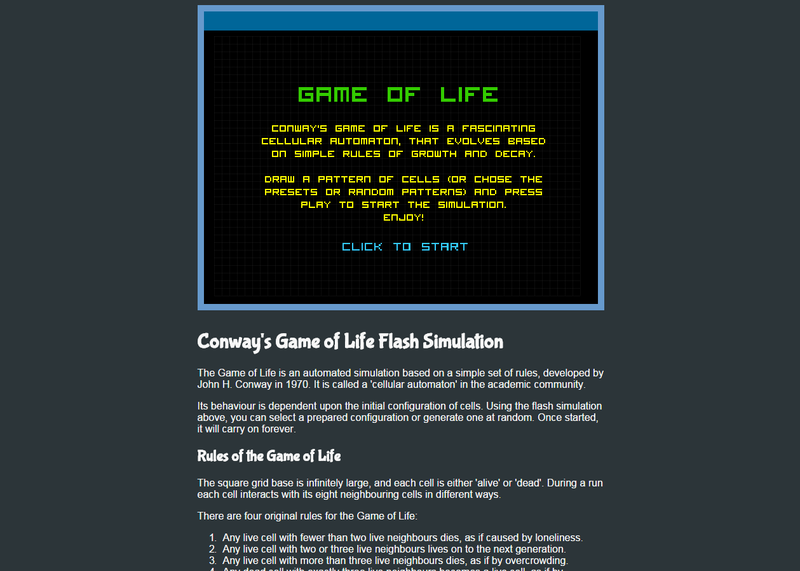 We made an educational page that features a flash simulation of Conway's Game of Life. We wanted to bring more awareness to Conway's Game of Life and other cellular automata. So we made a page that explains the rules and concepts, complete with a fun flash simulation.